Cheesecake Bites No Bake- easy to make and delicious every time! These little cheesecake bites no bake are so cute and easy, and are sure to curb your cheesecake craving in a jif! We LOVE cheesecake around here so naturally, cheesecake bites are our new favorite! Get ready, it’s time for another Spring Desserts series recipe! I hope you have been enjoying this series so far, it has been so fun to make these new desserts each week! Last week I mentioned that key lime pie was Jeremy’s second favorite dessert. Welp, today I’m sharing his FIRST favorite… reinvented! These little no bake cheesecake bites are simple to make and will be eaten up as quick as you can serve them! No Bake Cheesecake Bites are a favorite dessert for me and my husband! The recipe for these I just came up with randomly. The filling is very similar to the cherry icebox cheesecake I made last year. What’s your favorite berry?? Raspberries are my absolute fav. I used to eat them by the handful off my Aunt’s raspberry busy when I was little, yummy!! I hope you enjoy these little cuties, we sure did! Doesn’t everything look better on a pretty cake plate? 🙂 You can find a similar one here. 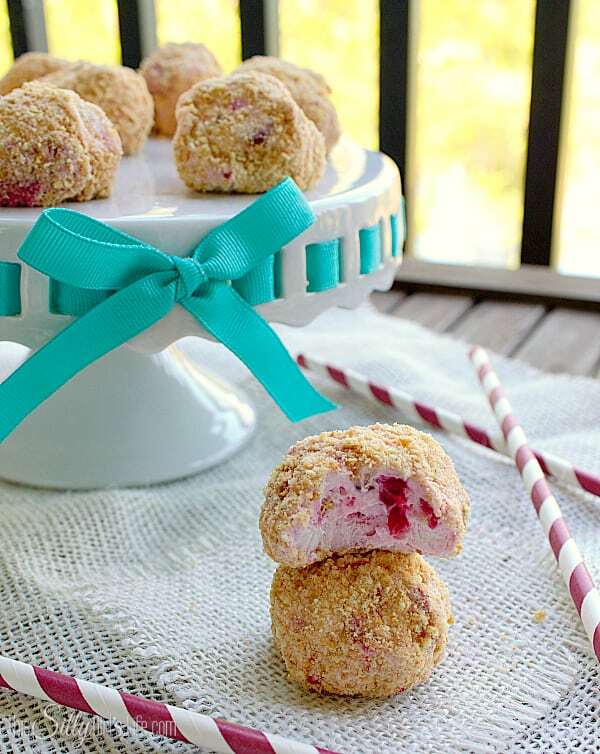 Cheesecake balls are super easy to make and take no time at all! Place the cream cheese in a bowl with the sugar and whip with hand mixer. Add in the raspberry and stir to combine. Place graham crackers into food processor and make into crumbs. Place on a sheet tray lined with wax or parchment paper. If you notice the cheesecake mixture becoming too loose to handle, place it in the freezer to set up again. After you’re done rolling the balls, place sheet tray(s) in freezer for a couple hours until they get frozen. When ready to serve, let sit out for 5 minutes at room temperature. Can mini cheesecakes be frozen? Yes! I like to leave them in the freezer in air tight containers, pop a few (or 10!) out and let them soften up just a bit then go to town! Jeremy looooooved them and said they tasted just like the cheesecake that he loves, score! To be honest, I’m not sure how great these would be at a party only because if they sit out too long they do get very soft. Not runny soft but not easily picked up. So, I would experiment with them first before putting them on a huge buffet set up! That being said, they are sooooo good! 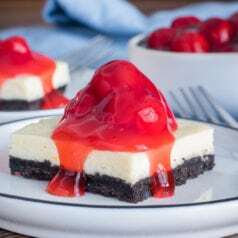 If you like this recipe make sure to check out these Strawberry Pretzel bars, Tropical Sunshine Trifle, Bird Nests, Lemon Curd Blossoms, and Key Lime Pie. 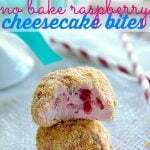 Cheesecake Bites No Bake- are easy and delicious! You'll want to make them over and over again! Place the cream cheese in a bowl with the sugar and whip with hand mixer. Add in the raspberry and stir to combine, you want the raspberries to break up and incorporate into the cream cheese. Add in the cool whip and stir in with a spoon or spatula, do not whip with the hand mixer, until just combined. Place in freezer for 2 hours. With a tablespoon (or a tablespoon sized scoop, if you're fancy like that) portion out dollops of the cream cheese mix one at a time into the graham cracker crumbs. 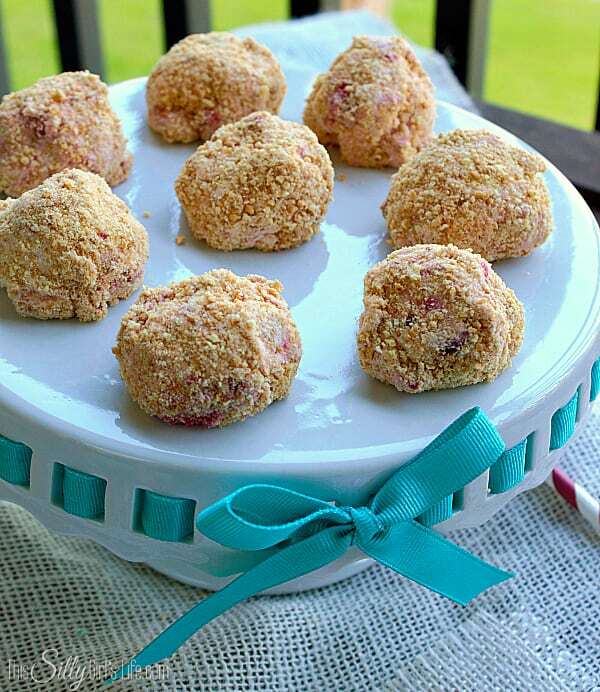 Roll around the cheesecake ball in the crumbs, using a spoon and place on a sheet tray lined with wax or parchment paper. You may need to go in with your fingers to form them into balls. Do this until everything is rolled into balls and has crumbs on the outside. If you notice the cheesecake mixture becoming too loose to handle, place it in the freezer to set up again. After you're done rolling the balls, place sheet tray(s) in freezer for a couple hours until they get frozen. Transfer them into a zip lock bag or air tight container. When ready to serve, let sit out for 5 minutes at room temperature. OR, place in fridge to desired firmness. Those look yummy and so easy to make! I’m pinning these! These look sooo good. Gotta find a way to make them work into my diet. 🙂 Thanks for posting this recipe! Yum, yum, yum and yum. 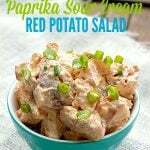 This look fantastic and the recipe looks so easy! 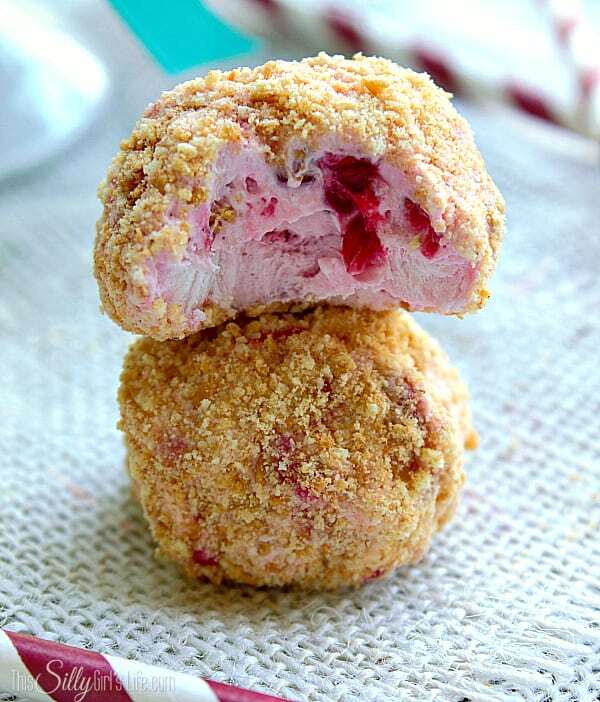 I will definitely be making these once my raspberries start coming! 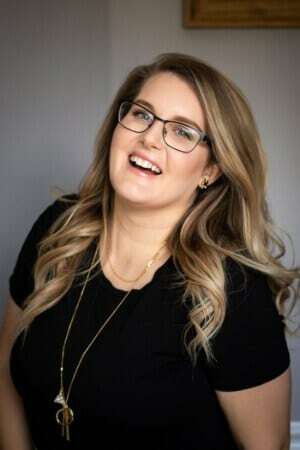 Thanks for sharing on Showcase Your Talent. These babies wooed and ruled the world over at Freedom Fridays With All My Bloggy Friends!! Pinning and Sharing as the most clicked link this week!! 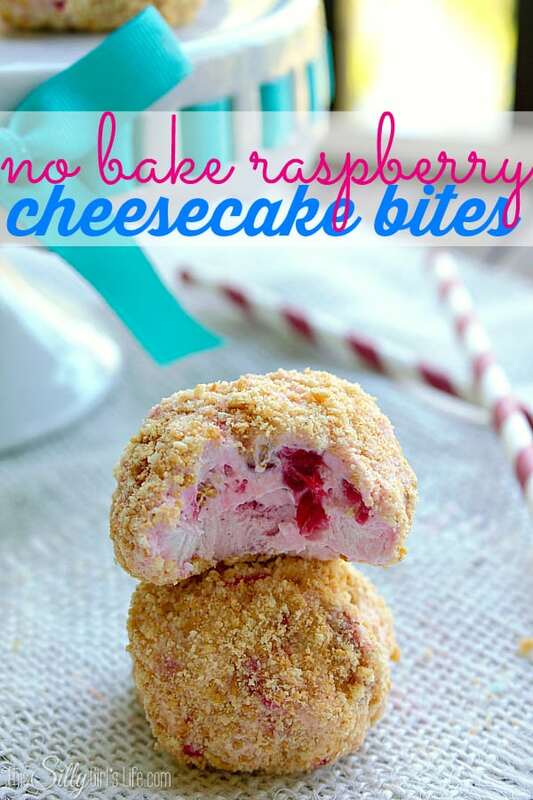 These cheesecake bites look absolutely fabulous! I love that they are chilled too. I know it serves a purpose for holding the shape, but I LOVE cold cheesecake. Good call with raspberry, that is such a divine flavor! Looks AMAZING and so heavenly! Pinning! And will definitely give this a try! I have Celiac Disease so have to follow a gluten free diet. I was thinking maybe I could dip these in chocolate instead of rolling in the graham cracker crumbs…what do you think? Oh yea that sounds great!! I would make sure you freeze the cheesecake balls first before dipping in the chocolate or you might have a big mess! These look absolutely divine and am planning on making them myself but not sure if you use powdered sugar or granulated sugar. Just good old granulated sugar, thanks! The solution for the “Too soft for parties” is simple: eliminate the whipped cream. The balls will be more solid. Also, have you tried serving them frozen as a summer treat? I’m a HUGE fan of frozen cheesecake, and this idea makes all of my other no-bake recipes more fun. Imagine lemon with shortbread crumbs or peach with gingersnaps. Then there’s always the classic peanut butter with chocolate cookie. Use your imagination and enjoy! Of course, any berry will work! I love this no-bake cheesecake! I’m living in the dorms at my college right now and these would be so easy (and doable) for me to make for my boyfriend’s birthday!! 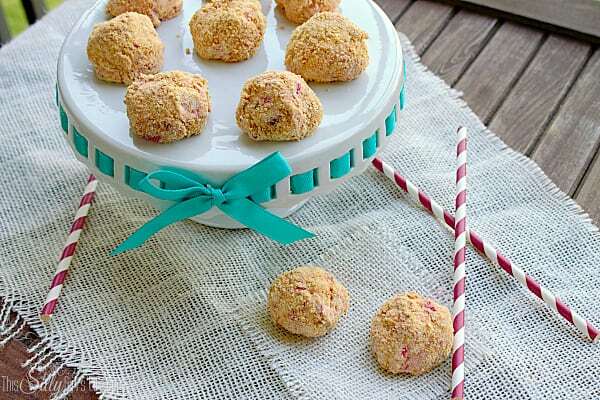 About how many cheese cake bites does this recipe yield? Yes, they would be perfect! They make about 24-30 bites, depending on size. Thanks for asking! I like the comment about leaving the cream out to have it set up more firm. Another idea would be to to put a container of ice under the serving dish, keeping them firm for a little longer. I love all kinds of berries, I want to try this with strawberries too. 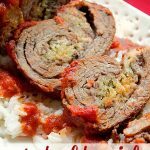 I looked at some of your recipes and will be following you on pinterest. Thank you for another great recipe. My solution for the “too soft for parties” is Knox gelatin. add gelatin to an ounce or two of water and let sit for 5 minutes. Then microwave for 10-15 seconds. stir until completely dissolved and add to the cream cheese and whipped cream mixture. 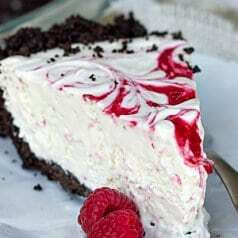 I’ve done this with traditional no bake cheesecake and it give a much firmer consistency without affecting the taste. Thanks so much for the tip, I will try that out ASAP! Could you use strawberries instead of raspberrys? Of course! I would chop the strawberries into small pieces first though. These look wonderful but I cannot get fresh raspberries in the tropics. Can I use frozen?